Victoria Larsen is a professional wall stencil designer, ornamental plaster mold manufacturer and home decorating specialist, according to her blog Decorating with Class. Larsen states on her blog, "Work is not work if you love what you do." She has been featured on Better Homes and Gardens, Woman's Day, The Wall Street Journal and several trade magazines and industry websites, according to her blog. 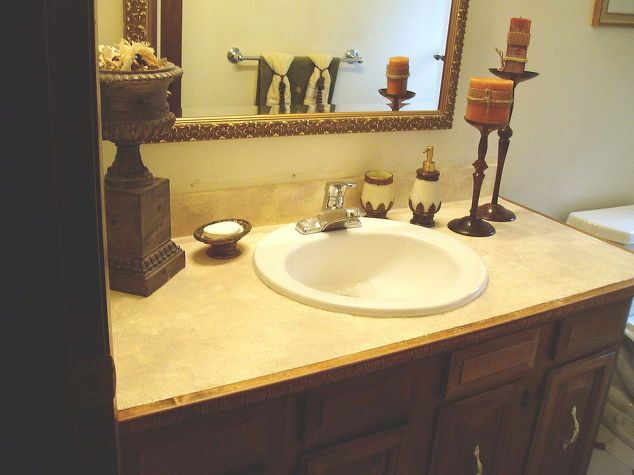 Countertops can make or break a bathroom or kitchen. 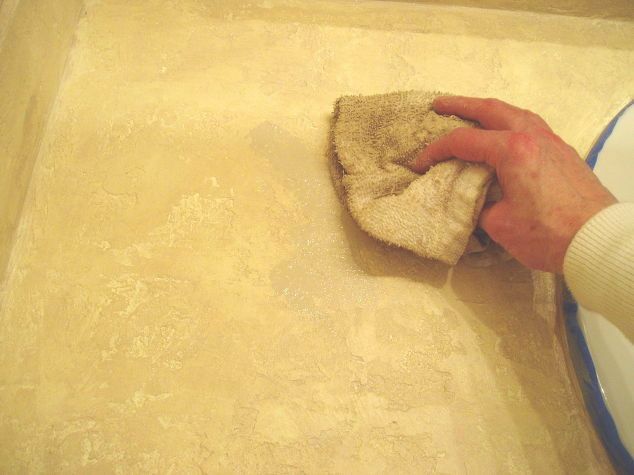 If you ever thought expensive sandstone was out of your budget, Victoria Larsen will surprise you with her simple and affordable method of creating faux sandstone countertops. The secret lies in blotting three different shades of brown paint. 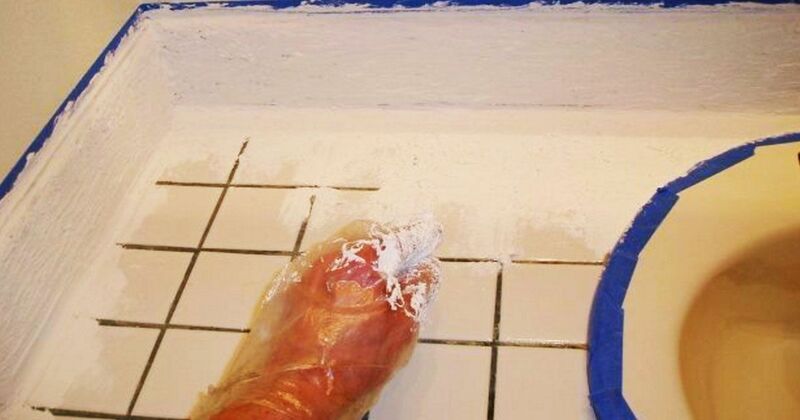 To upgrade your countertop with faux sandstone, all you need is painters tape, Aqua Stone, a thick paste-like material, a wide plastic scraper, acrylic paint in your desired shades, an old towel, a paint brush, and clear, non-yellowing polyurethane. 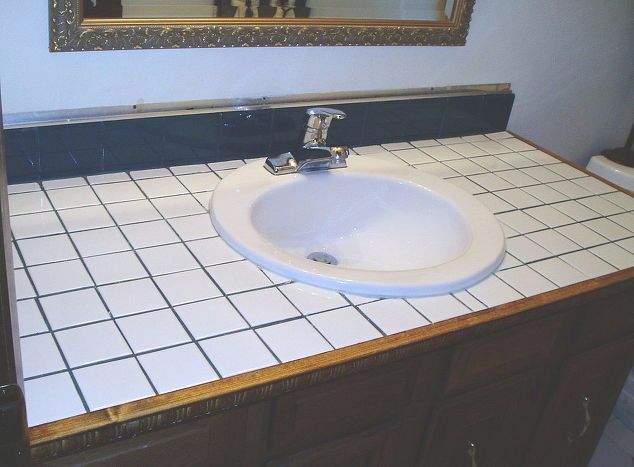 First, clean the entire area and apply painters tape around the sink and on the wall. Next, using a glove hand, smear Aqua Stone over the entire surface. 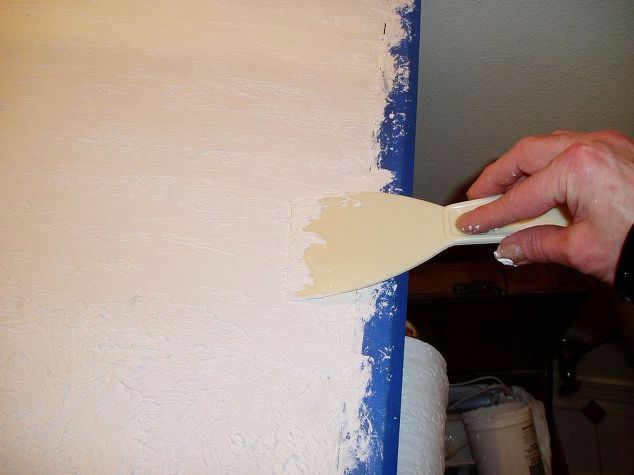 Before the product completely dries, use a wide plastic scraper to smooth the bumps to create a "knock down" texture. 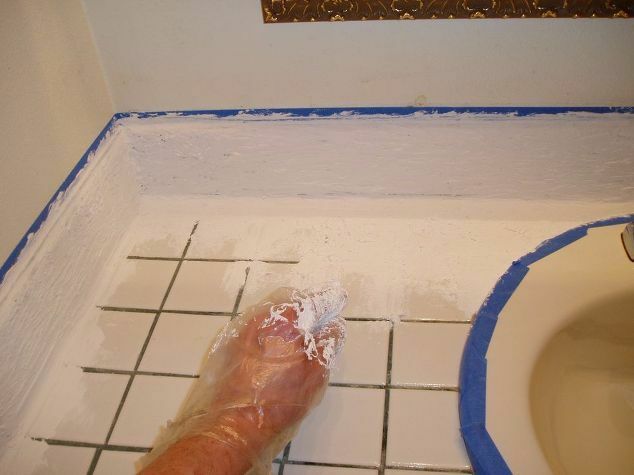 Next, add color by painting the entire countertop in your preferred color. Victoria Larsen recommends a cream colored acrylic paint. Once the paint has dried, blot light brown acrylic paint using a paintbrush. 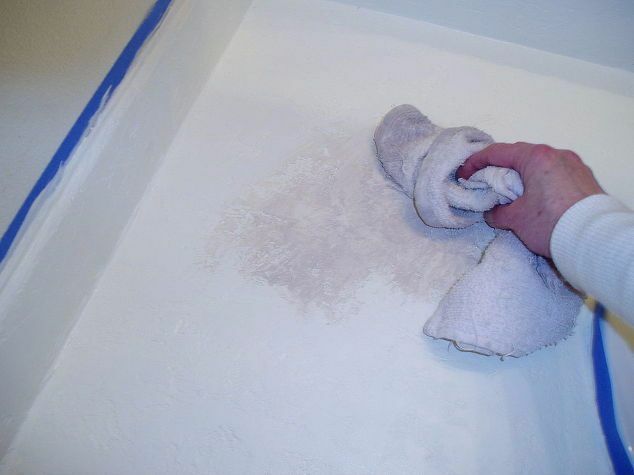 Use an old towel to blot and blend until you've reached your ideal texture. You can continue blotting and drying with different shades of brown to create a unique effect. Finally, use a clear, non-yellowing polyurethane to seal the new finish. For Victoria Larsen's full instructions, visit her blog. If sandstone doesn't fit your home's decorating scheme, try this concrete countertop from A Beautiful Mess (the process is similar, but the result is a sleek cement finish). Another popular home improvement trick is to "install" a faux Carrara marble countertop, such as the one demonstrated by Gorgeous Shiny Things. Loving these ideas? Make sure to SHARE this article!